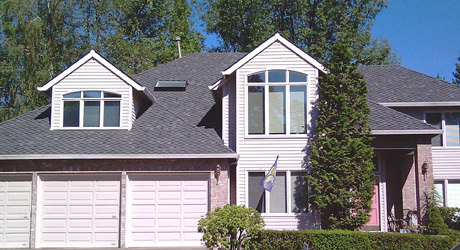 Owens Corning duration shingles have the heavy appearance, with a raised dimensional look, and are extremely durable. Engineered for long-lasting endurance, accompanied by a limited lifetime warranty, Duration shingles have a 130 MPH wind resistance Warranty. 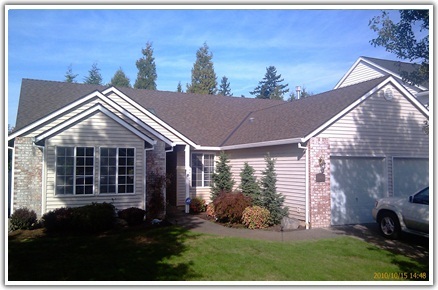 Coupled with the Algae resistance limited warranty, these composition roofing shingles are perfect for the northwest environment. 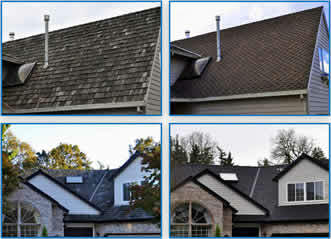 In the roofing business, It’s all about who you trust to install your roof. 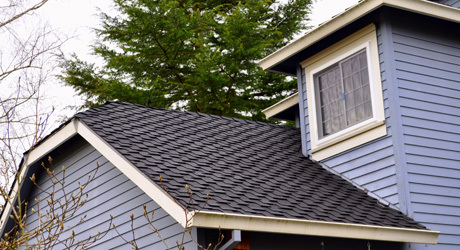 Considering that your roofers are going to remove the entire top of your house, and then be there for the next 30 years, trust is a very important factor when deciding on your roofing contractor. 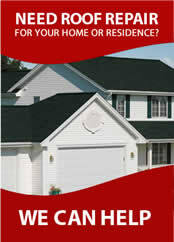 Dial one roofing has been an Owens Corning preferred contractor for over a decade. We have earned our reputation in the area working hand in hand with one of the most trusted names in the roofing business, Owens Corning. 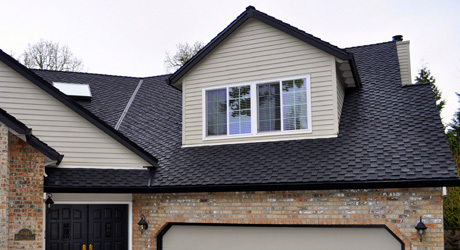 Owens Corning Woodmoor and Woodcrest Shingles are designed to look like a wood shingle roof, with a heavier rich appearance than your standard shingles. 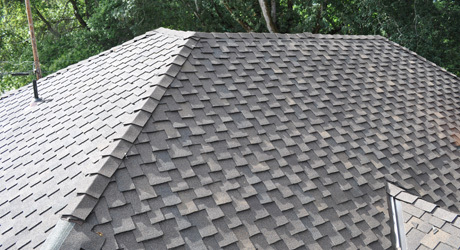 With the standard limited lifetime warranty, and 110 mph wind warranty, Woodmoor® and Woodcrest shingles will outlast any wood roof. 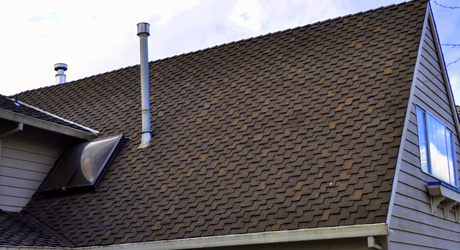 Additionally, the shingles, with an Algae resistance limited warranty. 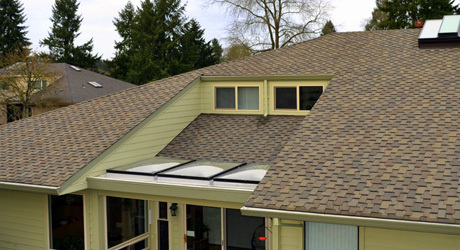 If you’re looking to replace your shake roof, Woodmoor® and Woodcrest are an excellent choice. Owens Corning Duration shingles offer SureiNail technology for extra toughness and longevity even in the toughest conditions. 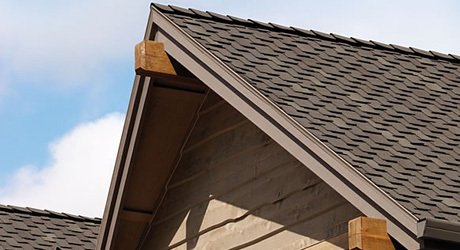 Patented SureNail Technology — Only from Owens Corning and featured on our Duration Series shingles. Outstanding Grip — The SureNail strip enhances the already amazing grip of our proprietary Tru-Bond® sealant. 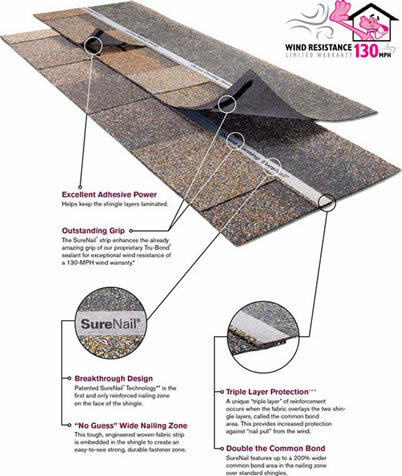 Exceptional Wind Resistance — The SureNail grip helps deliver 130-MPH wind warranty* performance with fewer nails than required by most competitors. Trust is everything when it comes to the roofing business, and should be your number one concern when you are deciding on your roofing contractor. 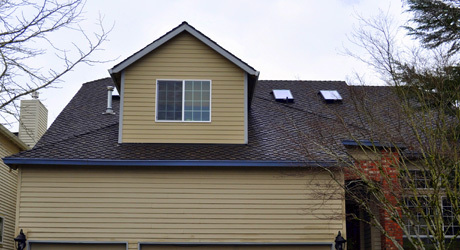 Since you’re going to be exposing your house to the elements by removing your entire roof, it’s extremely important that you are hiring a company who will be here for the duration of your warranty. 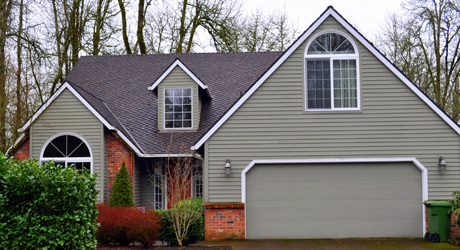 Since 1979, Dial One Roofing has earned our reputation as a high-quality roofing installation company. It’s a big decision that shouldn’t be left to chance, as an Owens Corning preferred contractor, Dial One Roofing and Owens Corning will be there for you now, and into the future.